Here at last is a reissue of Kasper's major work with a brilliant new introduction surveying recent developments in Christology. Kasper assesses the Christological enterprise in the Church from the earliest down to the most recent times which can be recommended without hesitation to teacher and serious student. The book also provides a solid theological basis for preaching. This may also be described as a work of Christian serenity, but one which is not indifferent to current problems. It is the fruit of the deep peace which all men can gain from contemplation of Jesus the Christ. As Karl Rahner has said - this book is 'modern' in the very best sense of the word. Synthesising biblical, philosophical and traditional material, the book remains essential reading for specialists and is used widely for courses on Christology - the very basis of Christian theology itself. 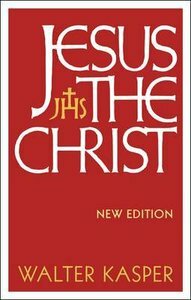 About "Jesus the Christ (New Edition)"